Oh boy, this might irritate some but I have to say it. The influx of new nicotine devices is making so many look naive, and not all of them are tobacco controllers. For example, isn’t this divine? Philip Morris International and Scuderia Ferrari have announced they have extended their partnership until 2021 and will focus on advancing the cause for “a smoke free world”. A team from the University of Otago in New Zealand have looked at dual use where smokers continue to use cigarettes after adopting vaping. Another group, representing the National Bureau of Economic Research (NBER), asked whether electronic cigarette adverts actually encourage smokers to quit the habit. “E-cigarettes have been aggressively promoted, and use is increasing rapidly among both adults and youths,” goes the introduction to NBER’s paper. Given that the organisation has published papers calling for the regulation and banning of flavours, its conclusion is quite surprising. However, its still disconcerting to see that a few naysayers and anti-vapers/smokers that are strewn across the vaping forums exerting their cynicism among the threads toward smokers switching to vaping or vapers in general, its tedious enough deconstructing a cynics ingrained mentality around the smoking/vaping narrative when trying to attempt dialogue. Do you have any feedback on the draft RACP Policy Document on E-cigarettes prior to its release? This document provides the position of the RACP on e-cigarettes, with an overview of four key areas: current use, evidence on potential risks and benefits, existing regulatory frameworks, and positions of other health organisations. A depressing thing to hear in a COPD clinic, but unfortunately not that uncommon. Worryingly, the proportion of the population with the erroneous belief that vaping is as hazardous as, or more hazardous than, smoking has risen from 7% in 2013 to more than 25% last year. There is a need for clear thinking and clear guidance in this area. Cancer Council Australia said there is “convincing evidence” that using a nicotine vape leads to the use of combustible cigarettes, warning smokers in the country to be be wary of the devices if they are trying to quit. Paul Grogan, director of advocacy for Cancer Council Australia, says their organization advocates waiting for further research into nicotine vapes before legalizing the products, reports The Daily Advertiser. After Public Health England (PHE) updated its review of the evidence on e-cigarettes and even recommended that the National Health Service (NHS) make them available on prescription, the backlash was really inevitable. “Why is the NHS listening to the siren voices of the vape manufacturers?” asks Victoria Coren-Mitchell in the Guardian. “It’s appalling that a state-funded, state-sanctioned public health body should recommend vapes to people who want to stop smoking,” she complained. The WM Wrigley Jr Company is currently taking down its third juice maker in the space of six months. The Wrigley Company was founded in 1891 and made its name selling a range of chewing gum. The Mars Incorporated subsidiary has made a point of protecting its brands and has all but closed Get Wrecked Juices after they piggybacked on its Starburst and Skittles trademarks. The technology that drives science forward is forever accelerating, but the same can’t be said for science communication. The basic process still holds many vestiges from its early days — that is the 17th century. Here’s what they’re confronting: When researchers studying the biology of disease make a discovery, it typically takes nine months for them to get their results published in a journal. Is vaping bad for you or is it safe? An inquiry has been formed to quiz scientists, doctors and the manufacturers themselves, in an attempt to decide whether the growing popularity of e-cigarettes, also known as vaping, should be welcomed or not. For some experts, the answer is obvious. Smoking kills 80,000 people a year in England and Scotland, and it is estimated that 474,000 hospital admissions a year in England are directly attributable to smoking. Not to be outdone by a friend who is having his mid-life crisis, I’ve been going through my own way-past-mid-life crisis. So I’ve been looking into motorcycle riding as a way to spark a little everyday excitement, which has naturally led to some reading and research about risk — and the amount of it that people are willing to endure. 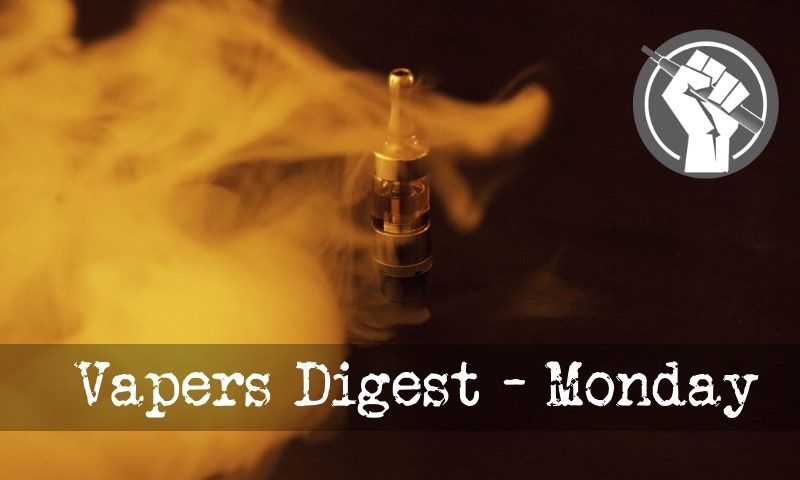 Calling Vaping Healthier Is ‘Absurd’ – New Zealand Vape Talks – American Cancer Society U-Turn – UK Vaping and Driving – Smokers Preferred Over Vapers on Tinder! Last week I advised anyone able to do so that they should consider attending the IEA yesterday for Forest’s Pleasure Zone event. I knew it was going to be an enjoyable evening – these things invariably are – but this one exceeded even my optimistic expectations. Are Charities Like CRUK ‘Fit For Purpose’?